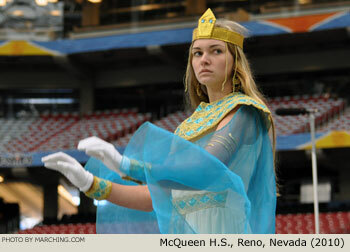 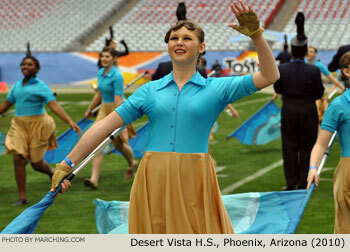 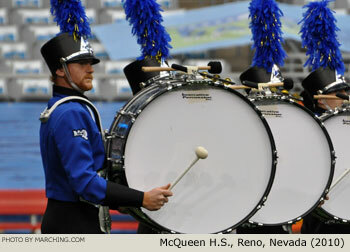 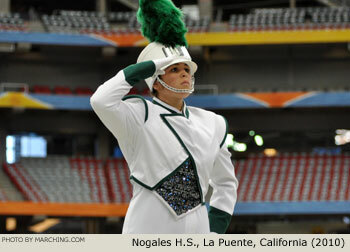 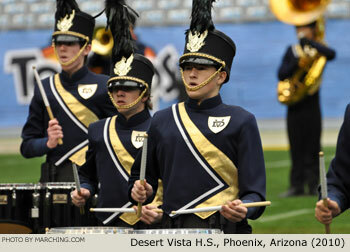 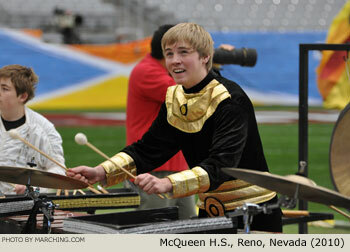 High school marching bands from seven states joined the two university bands representing the Fiesta Bowl teams in the 2010/2011 Fiesta Bowl Band Championship field contest. 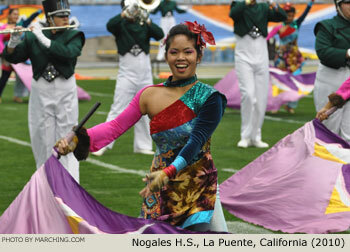 All bands are pictured here in order of appearance. 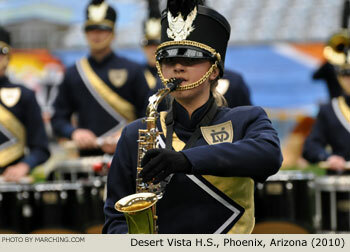 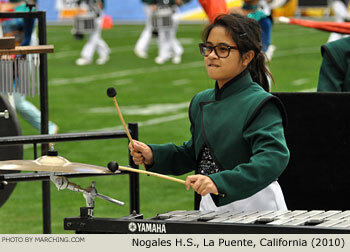 Also see more pictures of these and additional bands in the Fiesta Bowl Parade Photos.